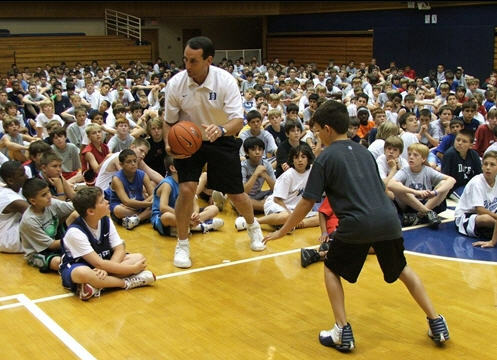 The annual Duke basketball camp at Cameron Indoor Stadium is a surreal experience for kids. Most have grown up huge fans of Coach K's program and are hoping to compete on his team one day. It never hurts to dream, eh? "One of the best words is imagination. Turn off your phone & Xbox sometimes & just imagine." Sounds like a common sense statement, but to many of today's youth 'unplugging' is a foreign concept. Leave it to Coach K to drop some knowledge.